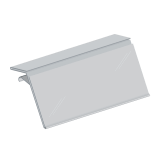 Do you need shelf edge strips? 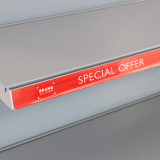 Shelf edge strips are the ideal product for displaying labelling on retail shelving in a highly visual way that is clear and familiar to shoppers. 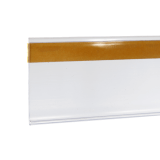 Our shelf strips are manufactured using high quality PVC, and all are equipped with an adhesive tape that is ideal for fixing the strips to any form of retail shelving. 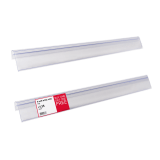 With our shelf edge strips capable of taking either a 40mm or 76mm ticket, you’ll find the ideal solution for you here at UK POS. 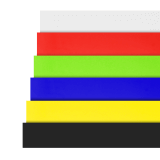 Why buy from UK POS? 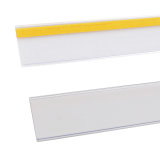 SEL strips can be cut to size for use with FSDUs (free standing display units). Other sizes can be manufactured on request. Large volumes of product in stock today.